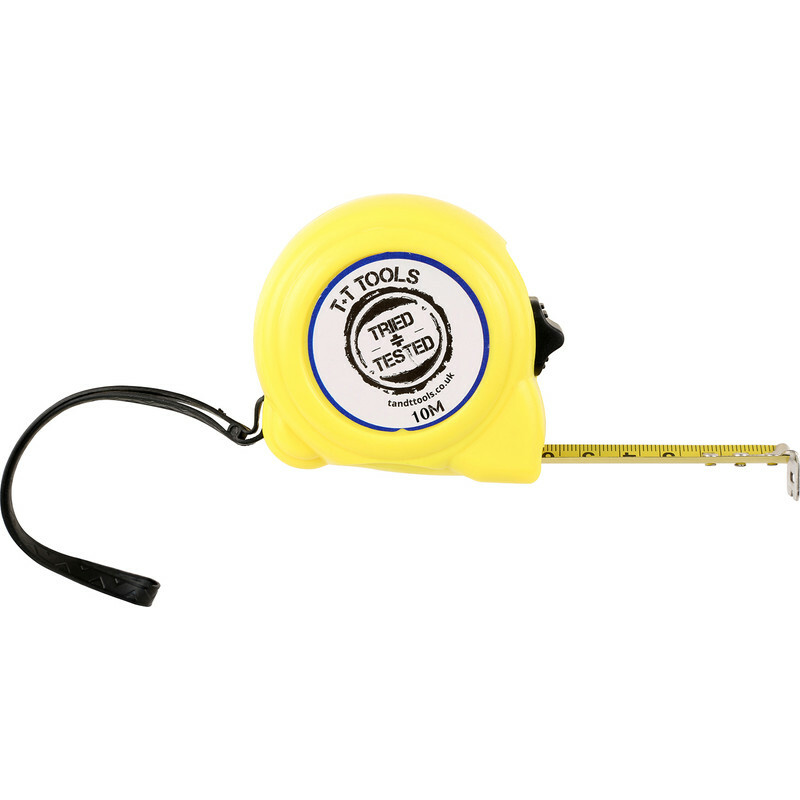 Trade Tape Measure 10m is rated 4.1 out of 5 by 19. Rated 2 out of 5 by kitzbilder from Cheap for a reason Cheap for a reason - spend a bit more for better design and build. Rated 4 out of 5 by Smouty from Bargain Used this a lot since i bought it. Recoil is a bit strong but overall its great for the price. Rated 5 out of 5 by Handy Andy 25 from Tape measure Cheap as chips. Really annoying if you misplace or lose an expensive tape....but these are so cheap you can have a supply in every tool or still box......always to hand and no worry if they go missing. Rated 5 out of 5 by Handy Andy 25 from Outstanding value Just great value....you easily pay many times. Cheap and cheerful especially on the pocket. Rated 4 out of 5 by J0shua from Cheap and good. Had it for about 6 weeks now, seems robust and up to task. I think the plastic shell might crack if you dropped it onto concrete several times, but I trust myself not to do that. Much cheaper than branded alternatives. 8m definitely preferable to shorter measures, though it probably depends what you're using it for.